The term 'spring chicken' evolved from an English saying intended to hurt someone's feelings, as in 'you're no spring chicken.' Technically, it means a young chicken or poussin, like a Cornish game hen. But we don't think about the pejorative meaning of that phrase, we automatically think of chicken cooked with lemon, asparagus, peas, and other spring ingredients. Be sure that whenever you cook chicken, you check the final internal temperature with a food thermometer. 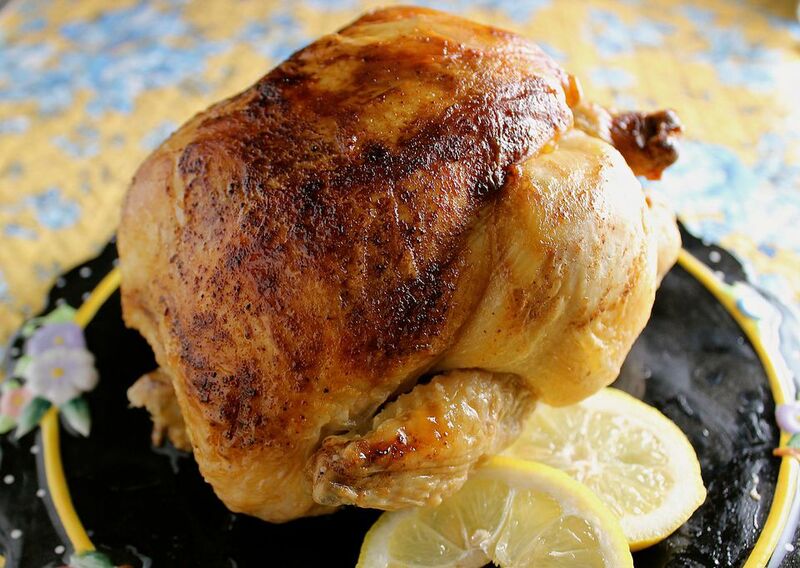 All chicken should be 165 F before it is served for food safety reasons. These quick and easy recipes will delight your family and friends. And even if the weather isn't quite like spring outside, these dishes will conjure up that magical feeling. This dish is similar to Salmon with Pesto Fettuccine, but with lemon added to brighten up the flavor a bit. Tarragon adds a slight licorice flavor to this pretty and easy main dish recipe. Oh yay—a five-ingredient recipe! Serve this one over some hot cooked brown rice and pair with a baby spinach salad. If you don't have your George Foreman grill out yet, pull it out of the cupboard for this easy and flavorful recipe. This recipe is made in the crockpot. We love the combination of hot chicken and vegetable filling with the cool pesto tomato topping served with split focaccia bread. You can find fresh herbs at the supermarket now. That wasn't the case 20 years ago! Buy some fresh basil for this fabulous chicken drumstick recipe. Cashew pieces add some crunch to this simple five-ingredient stir-fry recipe that your family will love. Serve it over hot cooked rice or pasta. Chicken thighs are simmered to perfection in a rich sauce with the bright flavors of lemon and tarragon. Yum. There's something about spring that makes me crave roast chicken. Add lemon and garlic, and you have a real treat in an easy recipe that's special enough to serve to company.